If you complete a web search for campsites there are hundreds which appear. Remember that you may need to look on a few websites to reveal most of the campsites in an area, as a lot of directories charge for listings and some of the smaller campsites can't afford to register. We have found the following websites to be particularly useful and hope they can help you plan your trip. Please note that we do not endorse any particular website nor can we confirm whether their links and details are up-to-date. Scottish Camping - A comprehensive listing of most of the campsites in Scotland, with links to the campsites own websites where possible. They also produce a very good touring map showing the campsites, which Highland Campervans has in stock. 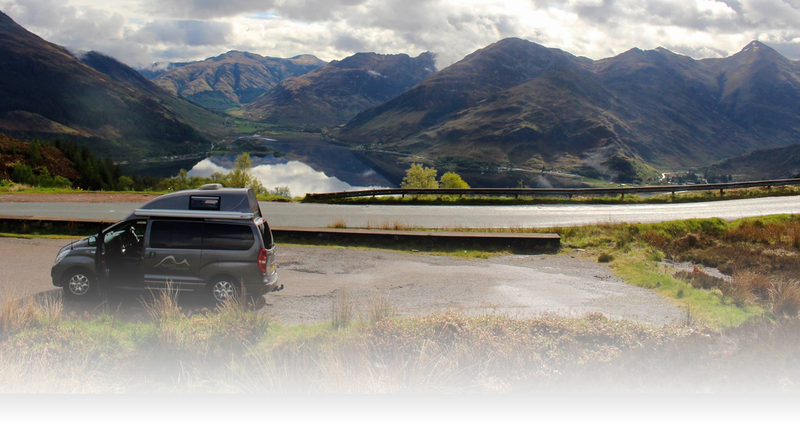 Love Camping UK - A comprehensive resource for camping, campsites and camping equipment reviews for the UK. Visit Scotland - The official website of the Scottish Tourist Board. Lots of links to places to visit plus activity brochures which can be downloaded or ordered from their website, such as Mountain Biking Trails in Scotland. Exploring Scotland - A website which is very easy to use and provides information on all kinds of places you may want to visit during your holiday. Caravan & Camping Sites - A listing of caravan and camping sites in the UK, Ireland, France and Spain. The Camping and Caravanning Club -This club owns a range of campsites all over the UK allowing tents, campervans and caravans. 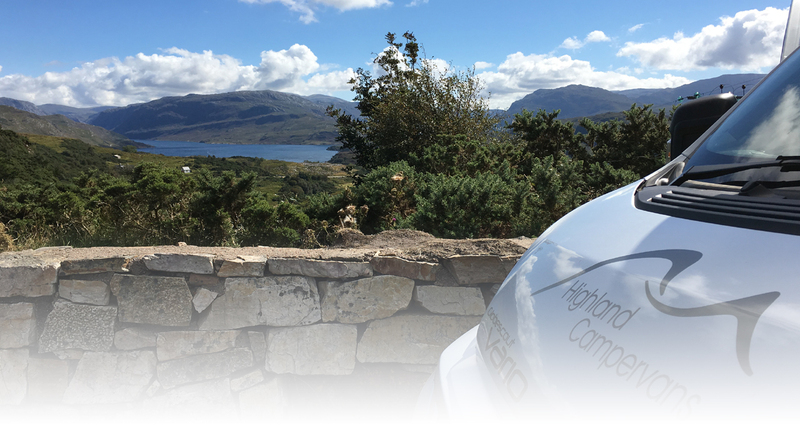 Note that a surcharge is applied per night if you are not a member of the club but with the Privilege Scheme cards, Highland Campervans customers pay the reduced member rates without having to pay a joining fee. The Caravan Club - These are probably some of the most expensive sites around but they are also probably the cleanest and most well-organised sites you will come across. Most Caravan club sites don't accept tents, but your campervan and awning is fine. (Nb. a 'pup' tent for children is normally allowed as long as it is placed directly next to your campervan). We especially like the sites which have special child-friendly bathrooms and if you've been staying out in the wild for a few days, it's great to be able to pop your children in a proper bath to get them sparkly clean at some point in the holiday! Note that a surcharge is applied per night if you are not a member of the club so again, check the prices. Camping Expert.co.uk - This is a very informative site providing lots of information about all aspects of camping and will undoubtedly give you some ideas to ponder. Campsites.co.uk - This is a handy page with over 170 campsites listed in Scotland along with other useful information about Camping in the UK. 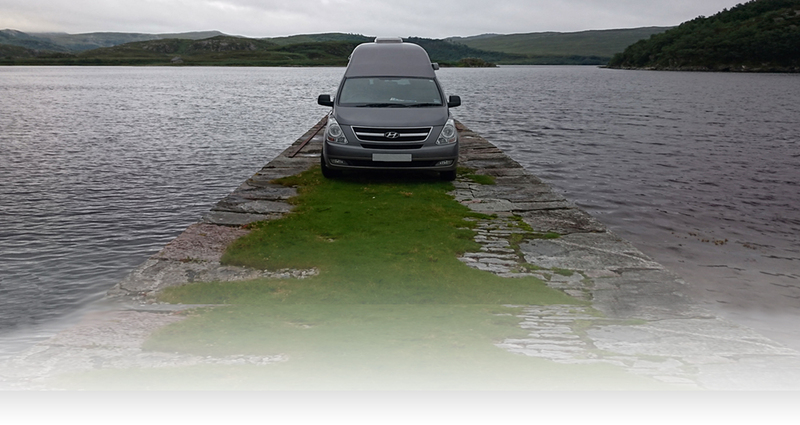 Highland Campervans is pleased to announce that customers out in our hire campervans can now pay discounted Member Rates at all Camping and Caravanning Club sites. We are part of the Privilege Scheme and you will need to show the Privilege Card (kept with the campervan) to pay the reduced member prices. We are fortunate to have four sites within 'close' proximity to Inverness which are very useful for first/last night stop offs (Delnies Wood, Nairn - Rosemarkie, Black Isle - Loch Ness Shores, Foyers - Glenmore Forest, Cairngorm).